In May, we shared the case of Cherokee Schill, a single mom in Kentucky whose only means of transportation is a bicycle, and whose only viable route to work was a nasty U.S. Highway. Cherokee has been systematically targeted by Jessamine County law enforcement. She was charged with careless driving for operating her bicycle in the right-hand travel lane. Her case went to trial in September. Despite the fact that all four expert witnesses (two for the prosecution and two for the defense) testified that the shoulder was unsafe and that the way Cherokee was riding on that road was the safest way to ride, the judge sided with the prosecutor and upheld the citations for careless driving. There are important issues in this case that are not well understood, and that have been further obscured by a vocal faction of detractors. This post will discuss those issues. First, for some background, listen to the Outspoken Cyclist radio interview with expert witness John Schubert. John recaps the trial beginning at 10:20 in the podcast. 1) Statutory definitions are important. Kentucky definitions for the key terms used this case are consistent with other U.S. states. KRS 189.010 (3) Highway means any public road, street, avenue, alley or boulevard, bridge, viaduct, or trestle and the approaches to them. KRS 189.010 (10) Roadway means that portion of a highway improved, designed, or ordinarily used for vehicular travel, exclusive of the berm or shoulder. Vehicles propelled by muscular power. In summary: A bicycle is a vehicle. A bicycle is not a motor vehicle. The roadway (which, in the case of U.S. 27, consists of travel lanes and turn lanes) is the part of the highway intended for vehicles to use. All vehicles, not just motor vehicles. 2) Sloppily written statutes can be exploited to abuse citizens. The following three statutes were used by the prosecutor to make his case. (2) The operator of any vehicle moving slowly upon a highway shall keep his vehicle as closely as practicable to the right-hand boundary of the highway, allowing more swiftly moving vehicles reasonably free passage to the left. UVC 11-301 (b) Upon all roadways any vehicle proceeding at less than the normal speed of traffic at the time and place and under the conditions then existing shall be driven in the right-hand lane then available for traffic, or as close as practicable to the right-hand curb or edge of the roadway, except when overtaking and passing another vehicle proceeding in the same direction or when preparing for a left turn at an intersection or into a private road, alley, or driveway. The intent of this subsection is to facilitate the overtaking of slowly moving vehicles by faster moving vehicles. Slow vehicles are to use the right lane or drive as close as practicable to the right edge of the roadway. The latter applying only to roads without lanes. Unfortunately, KY has not adopted the UVC, or at least not a recent version of it, and remains among a handful of states that use language that is inconsistent with statutory definitions of highway and roadway. We know of no other cases where such language was used to selectively discriminate against a bicyclist or driver of any other slow vehicle using the roadway. Kentucky Administrative Regulation (KAR) permits, but does not require, bicyclists to use the shoulder. (3) Not more than two (2) bicycles shall be operated abreast in a single highway lane. The use of “may” in statute is permissive, not mandatory. A requirement to use the shoulder would be worded as “shall.” Nonetheless, this permission was used against Cherokee. The prosecutor argued that because 189.300 (2) required slow vehicles to be kept as close as practicable to the right hand boundary of the highway AND bicyclists are allowed to use the shoulder, the bicyclist is then required to drive on the shoulder. KY 189.290 Operator of vehicle to drive carefully. (1) The operator of any vehicle upon a highway shall operate the vehicle in a careful manner, with regard for the safety and convenience of pedestrians and other vehicles upon the highway. Cherokee wasn’t charged with a simple traffic ticket, she was charged with careless driving. The case was built upon the purported careless behavior of other drivers reacting poorly to her presence on the road. Yes, this woman on a bicycle was failing to operate with regard for the safety and convenience of people enclosed in multi-ton vehicles because motorists’ careless behavior, driven by incompetence or aggression, might endanger other motorists. I have no idea how anyone could argue that with a straight face, but there you go. In summary, Cherokee was found guilty of careless driving because the law allows her to use the shoulder. In choosing not to use the shoulder, she disregarded the “safety and convenience” of people who are incapable of simply changing lanes to pass a slower vehicle without having a temper tantrum. 3) A bicyclist’s decisions about her own safety are subject to being overruled by people who know nothing about bicycling safety. Even if we accept the notion that slow vehicles are required to keep off the roadway, the statute says “as closely as practicable…” Practicable means capable of being done within the means and circumstances present. You might think that when safety is at stake, the person most at risk would be given the latitude to decide what is practicable. But the prosecutor insisted, and the judge agreed, that the police should determine what was practicable. For the purpose of the citations, the police officers’ assessments that the shoulder was “just fine” at the time and place of the citations was the only acceptable testimony. All the testimony about the risks and conflicts to be found on that shoulder from four expert witnesses (including the prosecution’s own two expert witnesses) was for nothing. Apparently, Cherokee was expected to ride in the shoulder, only leaving it for every single immediate hazard and then returning to the shoulder, crossing the rumble strip each time after yielding and waiting for traffic to clear. 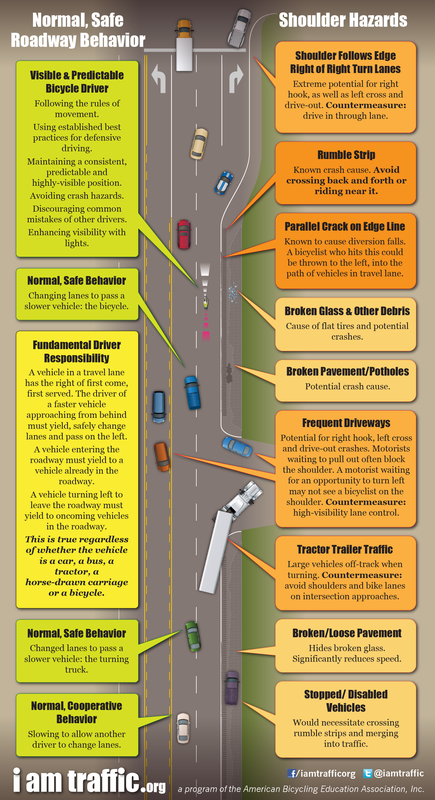 Click on the image to explore the frequent hazards and conflicts of the U.S. 27 shoulder. 4) Operating on the shoulder is not just inconvenient, it eliminates your right-of-way and legal protection. KY 189.330 (10) The operator of a vehicle about to enter or cross a roadway from any place other than another roadway shall yield the right-of-way to all vehicles approaching on the roadway to be entered or crossed. KY 189.010 (9) “Right-of-way” means the right of one (1) vehicle or pedestrian to proceed in a lawful manner in preference to another vehicle or pedestrian approaching under such circumstances of direction, speed, and proximity as to give rise to danger of collision unless one grants precedence to the other. 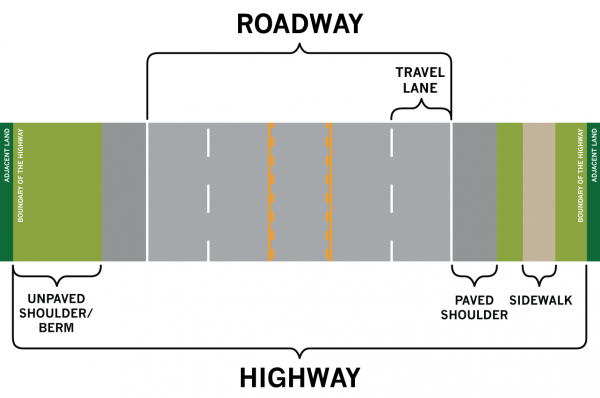 A shoulder is not like a bike lane or even a sidewalk. In most states, including Kentucky, it is an operational no man’s land (because it is not intended for vehicular operation). It is off the roadway; therefore a bicyclist using it has no right-of-way. She must yield to all traffic making conflicting movements at intersections and driveways. If someone hits her, she has no legal protection. There’s nothing practicable about operating in a space where you are both vulnerable and subservient to every vehicle on a conflicting path. U.S. 27 is not a limited access highway. It has clusters of commercial development along it where there are frequent intersections with streets and driveways. It is a fundamental rule that a roadway user has the right of first come, first served. Faster vehicles approaching from behind are required to yield and pass only when it is safe to do so. In the case of U.S. 27, there is a passing lane available for that purpose. 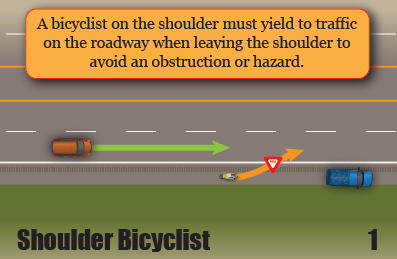 Every surface hazard or obstruction that necessitates leaving the shoulder requires the bicyclist to wait for traffic to clear. 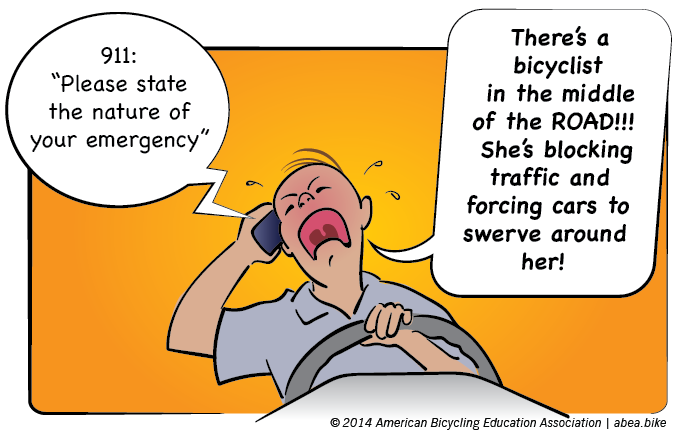 Moving in and out of the shoulder makes the bicyclist unpredictable. Motorists who are not paying attention, may detect her in the shoulder, then turn their attention to something else, assuming she’ll stay there. The right of first come, first served also includes other vehicles making conflicting movements. The roadway bicyclist has priority over vehicles turning left or entering the road. 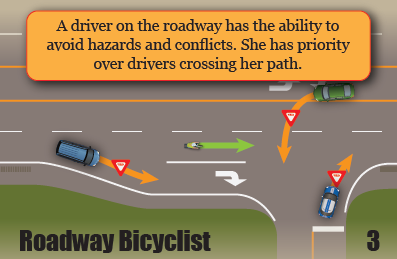 She also has the ability to encourage drivers who are turning right to wait and turn behind her rather than pass and turn across her path. 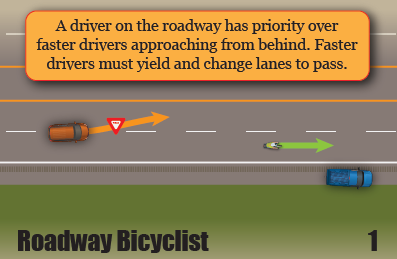 This maneuver violates a roadway bicyclist’s right-of-way, though motorists often do it to edge-riding bicyclists). The bicyclist on the shoulder has no right-of-way. She is not on the roadway and must yield to all traffic on the roadway, including cars turning onto or out from a cross street. A driver can legally pass her and turn right across her path. A resulting right hook crash would be the motorist’s fault if she was on the roadway, but not if she was on the shoulder. She is required to yield, even when the motorist is coming from behind her. Likewise, drivers entering from the cross street do not have to yield to her because she is not on the roadway. A driver turning left from the opposing lane not only does not have to yield to her, he may not even see her if she is hidden by passing vehicles or the heavily crowned road surface. When right turn lanes form, the shoulder stays to the right of them, or disappears altogether. A bicycle driver in the roadway can continue in a predictable straight line, maintaining her vantage and visibility through a complex intersection. 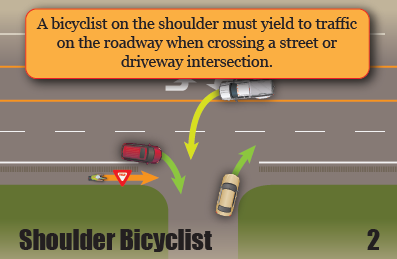 When turn lanes divert or replace the shoulder, the bicyclist has to yield to all traffic on the roadway before she can proceed to the through lane. If she stays in the shoulder all the way to the intersection, she is even more vulnerable because she is in an unpredictable, low-visibility position. And she has no right-of-way. She must yield to all conflicting traffic. 5) The scales of injustice favor the majority, no matter how absurd. Cherokee, after trying to use the shoulder and suffering its many hazards, did some research and learned that the safest, most predictable (and most efficient) way to drive her bike is to control the right lane and make herself visible and predictable. Some motorists were incensed at having to change lanes, and possibly slow down for a few seconds, to pass her. 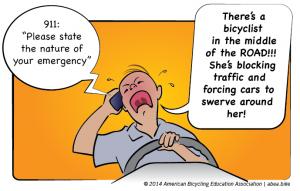 So they abused the 911 system to complain about a bicyclist on the road. The authorities responded by repeatedly ticketing Cherokee for careless driving. Not only that, they ignored the dangerous behavior of motorists. Once, when she called for help because a motorist was assaulting her, an officer showed up, waved the motorist away and gave her a ticket! This case was absurd. Yet the judge sided with the prosecutor and decided that her safety is subservient to the tender convenience of motorists AND that her presence on the road endangers them. Seriously, a woman on a bicycle “inconveniences” and “endangers” motorists (in plush climate-controlled cocoons—surrounded by 4,000 pounds of steel cage, crumple zones and airbags—propelled forward at high speed by the delicate press of the driver’s toe upon a pedal). The hardship. The horror. To have to lift that toe for a few seconds to change lanes and pass a bicyclist. The court says Cherokee must ride on a shoulder, where she has no legal right-of-way; faces numerous crash hazards and likely flat tires; must constantly stop and wait for traffic to clear in order to pass obstructions, driveways and intersections; and must endure rough, loose pavement that robs several miles per hour from her cruising speed. Beyond the safety issues, we’re talking about adding significant time (measured in fractions of an hour, not seconds) to a commute that was already over an hour… rain or shine, blistering heat or freezing cold. All this to save motorists (in their plush climate-controlled cocoons) 20 seconds of having to drive under the speed limit, for a delay of even less than 20 seconds. Time which would easily be absorbed by the next red light or traffic jam of other motorists. A motorist who momentarily loses less than 20 seconds can choose to step on the gas and get it back. A bicyclist who loses 20 minutes has no way to make that up. To make this even more ridiculous, the sources of delay on this road include traffic lights, traffic congestion (of cars), motorists slowing to look for destinations, vehicles slowing to turn, vehicles entering the road, and school bus stops (which stop traffic in both lanes). But a few seconds of driving slower to pass a moving bicyclist? Well, that’s just unacceptable. 6) What kind of a society are we? What we have here is a single mom trying to get back on her feet after escaping domestic abuse. She lost her license for financial reasons (she couldn’t afford insurance). She didn’t give up. She didn’t go on welfare. She got on a bicycle — at first, a delta trike — and rode to the only full-time job she could get. Those early commutes took her three hours each way. Three hours. She was out of shape and weighed 90 pounds more than she does today. She gutted it out. She lost weight. She got stronger. She got a faster bike. She learned how to ride safely and successfully. She was pulling herself up by her bootstraps, dammit! Now she’s stuck. Since the trial, the police have upped the ante. A few weeks ago, they arrested her for wanton endangerment — a criminal charge — for not riding in the shoulder. And the shenanigans are getting worse. She is on parole for the violations that caused her to lose her license — driving without insurance and while her license was suspended (for failure to pay a speeding ticket in NY). Jessamine County is now trying to make her parole conditional upon not driving her bike on the roadway on U.S. 27. In other words, if she gets caught in the roadway on U.S. 27 again, she violates her parole and goes to jail. Alternatives to U.S. 27 include adding significant distance and using a 55mph, winding, hilly, 2-lane state highway (where motorists can’t pass safely or easily) to get to U.S. 68, which is just like U.S. 27. Any alternatives to the U.S. Highways add an additional hour to a 75 minute commute into Lexington — on 2-lane roads. She recently completed a certification course to become a Cardiac Electrocardiogram Technician and is looking for a full time job in that field. Yet, she’s basically hamstrung. There are very few jobs in Nicholasville and she has no reasonable way to get to Lexington. In addition to problems with the police, shock jocks from the local radio station have been fomenting hatred on air. As a result, militant motorists regularly go out of their way to threaten her with their vehicles. She’s even been followed by a carload of men and had to divert from her route and hide. The good news is that many generous people in the bicycle driving community have been supporting Cherokee, emotionally and financially. If you would like to pitch in, you can donate to her legal fund and share this story. To hear Cherokee’s story in her own words, listen to her interview with Diane Lees on the Outspoken Cyclist. This is why I’ve taken a hiatus from cycling. For me, it’s just not worth the hassle to commute by bike – at least not where my commute would be now (on a road which is marked as a bike route, but in practice motorists bully and act dangerously around cyclists while police do nothing). For now at least, I’ve had enough. I feel like what we need is for a case like this to go all the way up to the supreme court so that the issue of the abuse of people on bicycles gets national, wide-ranging and serious attention. Unfortunately, getting even to the appellate court level in most jurisdictions won’t happen as the only appeal right for traffic and <= class B misdemeanors/infractions is a trial de novo to the district court and there it ends with no judgement "of record" and un-appealable beyond that. It would have to be a fight on another level such as Eli's civil rights argument in Federal court, but those even if started are often settled by the State so they don't continue. As Dan said, it is nearly impossible to get such a case to appeal. Moreover, there’s no reason to assume that the court would rule in favor of the right to the road. Even if they did rule in the appellant’s favor, they might do so on some other aspect without ruling on the right to the road at all. You can’t rely on courts fix bad legislation, even though they occasionally do. I’m on hiatus from riding too, but probably not from the grief of uninformed uniformed law enforcement and not from a confused legal system. I strongly support this gal’s effort to educate these ignorant (lacking knowledge) people. Keri Caffrey, I’ve not finished reading it , but I can already conclude: You have exceeded your already high standards with this impressive treatise! Only one suggestion: please add your name to your excellent graphic in Section 3 for credit purposes. Keri has published a comprehensive and useful account of the issues. Fantastic explanation of the importance of right-of-way. Broader understanding of this concept is very much needed. Feel free use it as a model for your own letters. I am writing to you in regard to your treatment of Cherokee Schill. Like Cherokee, I rely on cycling for my transportation. I am also a trained and certified bicycle driving instructor, with extensive experience driving on roads with high-speed motor traffic. I regularly engage in critical observation of interactions between cyclists and motorists, and I regularly correspond with leading experts on bicycle safety. For safe and efficacious travel, I drive defensively, in accordance with the normal rules of the road for drivers of vehicles. This means driving on the roadway, in the main line of traffic. Doing otherwise is usually hazardous and impractical for regular travel. These are well-established facts that are affirmed by numerous written sources and bicycle safety experts, as well as by the experience of cyclists who have been trained in defensive bicycle driving. I can only assume from your actions that either you did not bother to consult these sources or you chose to disregard them. Like Cherokee, I have also been tormented by authority figures for having the audacity to believe that I had the same right as everyone else to use all parts and features of public roadways. Fortunately, I was able to challenge my tormentors and affirm my right to the road in Massachusetts. Cherokee has described her recent experience as feeling like a prisoner in her own home because she risks punishment for traveling in the only practical manner available to her. I very much empathize with her in this because it is exactly the way that I felt during my period of torment. I am sickened by your cruel and callous pursuit of Cherokee Schill, by your lack of interest in her needs and the motivation for her driving behaving, by your irreverence regarding the basic right of people to simply exist as equals in public places, and by your apparent willful ignorance of safe cycling principles and best practices when these topic are critical to the situation. I don’t know if you have any idea how much unnecessary anguish your pursuit is causing. 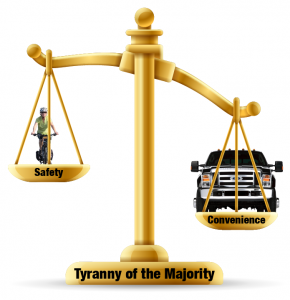 You have claimed that the presence of a cyclist on the roadway imposes a danger on motorists. This is an incredibly absurd claim. The speed and mass of a cyclist makes them incapable of doing substantial harm to a motorist, while the speed and mass of most motorists makes them highly capable of causing harm. 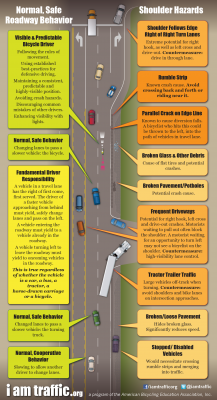 It is every driver’s individual responsibility to control their own vehicle, and any competent motorist can easily avoid crashing into another driver who is directly in front of them, regardless of the other driver’s speed. If you fear that some motorists are so incompetent that they cannot avoid hitting something or someone directly in front of them, then you should redirect your efforts toward making sure that those people do not drive motor vehicles. For you to claim that a cyclist who is simply driving on a roadway in accordance with the normal rules for drivers is a danger, while a motorist who cannot be relied on to drive safely around a cyclist is not, exhibits an extremely twisted logic as well as a preference for protecting motorists’ delicate sensibilities over protecting free and safe travel for all. I wonder how much the car companies have to do with it. In many jurisdictions, car companies and related suppliers bought up rail lines and tore them up so as to make the purchase of a vehicle necessary, thereby marginalizing people who: (a) cannot drive due to disability; (b) choose not to drive for any reason; or (c) can not afford to drive. In my region if somebody does not drive a motor vehicle, no matter how educated and skilled you are, you will never get a job … people are hired if they drive and yep, many of these people do not have the skills and qualifications for the jobs they get, and yet all the rules and laws are passed by people who drive, always drove and always think they will drive. Perhaps a few lawsuits need to be filed to make these people wake up, and yep, I would love to be a fly on the wall to watch some of these jerks lose their driver’s license for any reason whatsoever and then dare try to live a normal life without having to pay for cabs, car service, transit where it may or may not be available, spend half a day getting to a fifteen minute appointment and then they will see what it is like in the shoes of others they have marginalized for far too long. Sounds like the judge went with his gut, which is how most people probably see it (and they’re all wrong). Safety comes first, period. Also, listen to the dadgum experts! James Madison warned of the tyranny of the majority in Federalist No. 10. Key phrase here is “exclusive of the berm or shoulder.” The shoulder is not designed for vehicular travel. I have experienced exactly that which is shown in the videos on that site and it makes life easier for all road users, not only those with big steel boxes around them. Your reference to a purported previous violation is meaningless. It has no reference in this case which is likely why it is not mentioned. You are doing no one a favor by suggesting there is validity to her background. We know her background includes taking a cycling safety course, can you say the same? She has a better education than you do with respect to operating a bicycle on the roadway. The options she has for routing have been brought up and recognized as being impractical. There is no reason to deprive a citizen of the right to travel, and certainly no reason to direct a citizen to a specific path of travel for the convenience of someone else, especially when the “inconvenience” may be represented by a delay of ten or fifteen seconds or be represented by the requirement to be a diligent operator. You don’t have a foot on which to stand. Attempted character assassinations, discussion of alternate roads, and inference of motivations are all irrelevant to the central legal concern for bicyclists: If the bicyclist deems the shoulder to be impracticable to use, as the cycling experts did in this case, does the bicyclist maintain the right to use the roadway? The judge in this case decided no. This has chilling implications for bicyclists’ basic travel rights on public roadways. James McKenzie’s comment has been removed because it contained an untrue defamatory statement. I have not found anything substantial regarding this supposed ride. I suspect it to be a hoax posting. It might be informative to see who shows for the ride, and who is watching to see who shows. I have a prior commitment, or I might set up a watching point. I look at trying to talk sense to officials and most of the driving public as trying to talk sense to addicts. Like the addict being aware of feelings of withdrawal, most decision-makers are car drivers and will identify with their car having to slow down, instead of imagining the dangers of shoulder-biking. One of my hopes is, that just like addicts have a wide range in the level of their addiction, drivers may have a range of theirs too. Some actually can imagine themselves on a bicycle (I hear:-). My other hope is petrol prices (as they relate to earnings). The worse driving hurts the budget, the better the bicyclist–car-driver ratio gets, and the more weight our voices could carry. Time is my third hope. When I think back to the nineties, there were even less support for bicyclists. Since then, our choices of commuting bicycles exploded and became better quality, and maybe even more affordable, the law and organizational (even legal) support for bicyclists increased and even infrastructure changed somewhat in favor of sharing the road. So I am looking forward to the day when a bicycle will actually be considered a vehicle (in human minds rather than just on paper). Until then I appreciate the incredible commitment and creativity many people, often starting from the bottom of the wealth-chain, express and practice long-term. This is truly getting ugly. What’s worse is the new chief of police in Santa Fe is claiming the same thing: that a bicyclist using the road is impeding traffic and creating a public risk. Stay tuned. When I read stories like this one, I feel like I’m living in a cyclists haven, which Portugal isn’t. I feel for that woman and hope she can hang in there just enough time for people like that judge and the motorists community to realise how stupid and savage their behaviour is. All the best to Cherokee! Thanks for the informative, background. Eli and Dan F comments lead to several paths: Fix the law and un-elect the Sheriff, Prosecutor and Judge. Somehow, my comment also got deleted though it contained no untrue or defamatory comments whatsoever. Steve, I have not seen your comment. Maybe the judge and prosecutor and ticket happy officers should get some bikes and ride the shoulder. Until then they shouldn’t be able to pass judgement on how to ride that stretch of highway. Also bet things would be different if that was a male cyclist out there instead of this woman. Ridiculous. I hope Cherokee can find a way move somewhere that has brighter people. There are plenty of choices. Having seen coverage of this story before, with video and images of the roadway in question, I have to say I think this is a terrible test case – yes, it is important to uphold the rights of cyclists to use public roadways, but in this case you have a slower cyclist ‘taking the lane’ on a long stretch of highway next to a very wide shoulder. Yes, there’s always some debris and gravel in the shoulder – but in all 12 feet of it? And along the entire length of the roadway? If the rider was being ticketed for taking the traffic lane while going around a large obstacle in the shoulder (say, a downed tree, or a patch of spilt sand), or while preparing to turn or merge, then this would clearly be worth fighting against. But I suspect the cyclist in this case is being antagonistic, showing a deliberate disrespect for other road users, which puts this case into a grey area for me. I recommend those reading Keri Caffrey’s article above to also read what LAB President Andy Clark has written here: http://bikeleague.org/content/schill-case-what-now. His response garnered a lot of comments, some from former LAB Cycling Instructors who have left the LAB. You can understand why after reading Andy Clark’s statement that, while he claims to sympathize with Cherokee Schill, he goes on to give weak and unacceptable reasons for saying LAB will not support her.